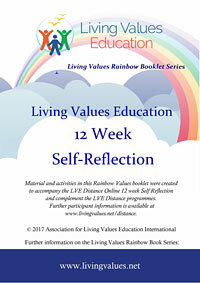 Living Values Education Distance Groups - for the community or workplace environment, and for implementation in every class room, wherever groups of people come together. The purpose is to bring small groups of people together. 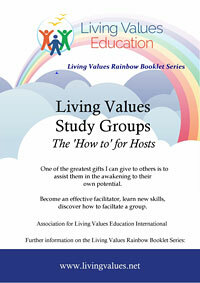 Using the Living Values Education Home Study anyone can host their own group. Previous interaction or facilitation with Values not required. These guidelines explain all the "how to and how not to’s" for hosting your own effective and successful group. Study groups are for people of all ages. Perhaps through this experienced you will be inspired to join with us and the hundreds of Living Values Education facilitators in over 30 countries through formal Facilitator training. 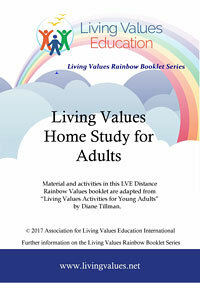 Living Values Education Distance Home Study For Adults, Families and Groups - a colourful 52 page Rainbow Booklet - participation book of activities, drawn from Living Values Education for Young Adults. 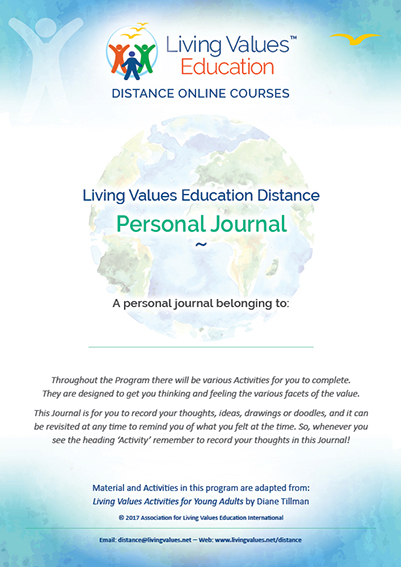 Living Values Education Distance Personal Journal - a 97 page book will help you record each of the activities and give you something to look back on. Start a Living Values Education Study Group - for the community or workplace environment, and ideal for implementation in any school classroom.